Here’s A Treat You Should Practice For Valentine’s Day! 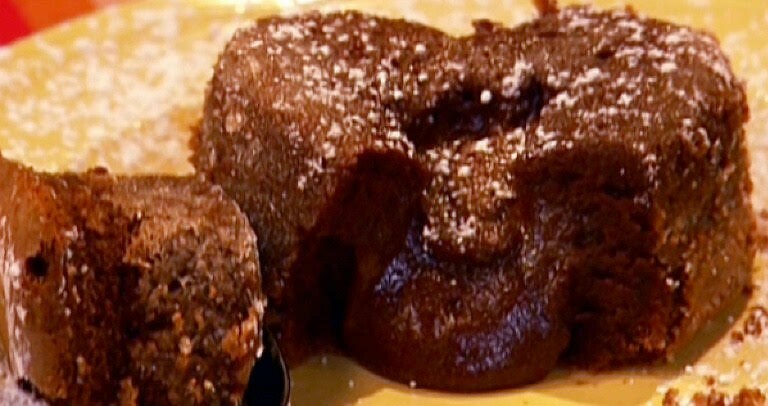 Chocolate lava cakes are everything in my book. They are the perfect dish to serve to guests for dessert because first, they are individual portions, and not only is that convenient, but it is cute, too! Secondly, they are so impressive. One little pop and this little amazing cake oozes out chocolate juices unlike any other. It is runny and totally perfect and probably the only time you can eat an undercooked cake without being judged. I have found the perfect recipe for two lava cakes, one for me and one for my husband. They are a bit difficult to make, but are worth it because they turn out beautifully. Now this recipe, not only does it turn out beautifully, but it is EASY! I am going to be switching to this recipe starting from today. No need to go through so much work to wreak results that can be made so easily with this recipe. This is the perfect recipe to make for houseguests, or just for a lazy evening all on your own. It has lots of chocolate in it, and topped with some whipped cream, you cannot go wrong! Give this a try and you might find yourself making it daily. Photo and recipe courtesy of Buzz Feed. Quick Tip: Sift powdered sugar over the top and serve with berries.